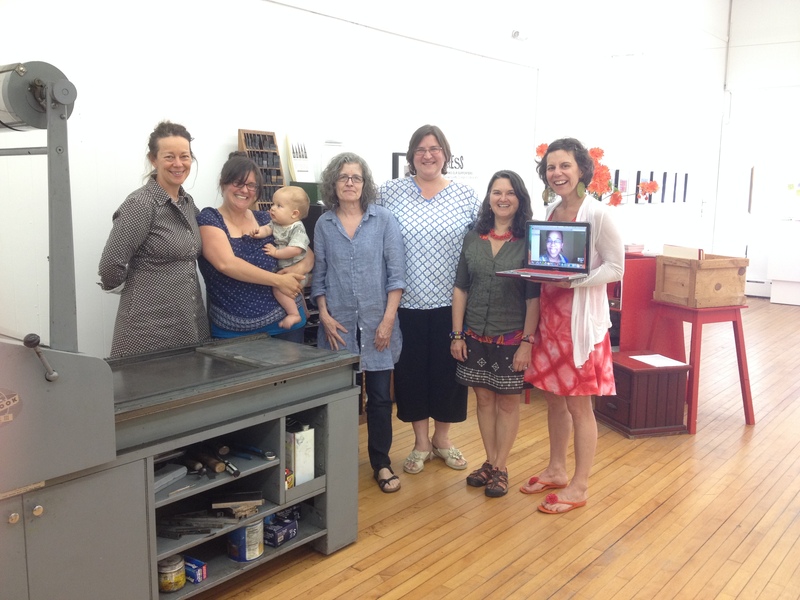 This afternoon, this wonderful group of artists gathered at PRESS for the first of many sessions to prepare for Paper Dresses, the exhibition that will conclude the DownStreet Art summer season here. Ideas were exchanged, art was viewed, snacks were eaten, and the company of great friends was thoroughly enjoyed. These artists come from diverse backgrounds and specialties, which promises for a very unique exhibition. Everyone involved is excited to explore the concepts of confinement and freedom, gender roles and restrictions, fragility and strength, and the role of clothing and its relationship with the body. These and other ideas are sure to evolve and transform throughout this summer’s collaboration to create an amazing end result. We at PRESS are very excited to see where this project takes us! Paper Dresses will open at 6:00 PM on September 25th – we hope to see you there!